Talent gaps have a wealth of obvious, as well as subversive, impacts on businesses almost every day, but the most pressing matters in this discussion have related back to advanced technologies throughout the past several years. Simply put – even the most intuitive solutions and products will still need a human touch to function optimally and in such a way that specifically aligns with the corporate objectives that preceded the investment. Unfortunately, there has been somewhat of a lack of understanding with respect to this truth, and it is partially the inflated expectations resulting from what is unarguably more seamless and usable technologies being released. However, many firms are beginning to experience extreme frustration when trying to maximize ROI and not being able to see any returns given the lack of expertise and skills that specifically relate to new tools and products. One of the better examples of this is big data, which has been commoditized quickly and adopted at an accelerating rate, though expectations and realities have not been all that balanced, specifically when it comes to departments that are just now being targeted by the tools. Analytics can have profoundly positive impacts on any company, but big data courses are necessary to realize the value of these powerful and novel technologies. Human Capital Magazine recently reported that a new study from advisory firm the Corporate Executive Board Company found that the vast majority of businesses are not seeing any returns on investment for human resources analytics deployments. The biggest problem appears to be a misunderstanding of how the tools should and can be used, which is a fundamental aspect of any technology that cannot be missed should a firm want to enjoy positive outcomes. 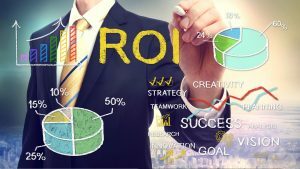 According to the news provider, the study found that 85 percent of executives do not believe that they have seen any difference in their decision-making performances as a result from HR analytics, while 92 percent are not confident that they will see ROI from these technologies any time soon. However, the source pointed out that the analysts involved in the research believe that this is far more related to a problem within the companies than being issues with the tools themselves. Rather, big data and HR analytics solutions have indeed become extremely powerful and advantageous, and it is up to businesses to make the most of them. Aaron McEwan, director CEB, told Human Capital Magazine that he believes tighter applications of the tools might help these firms enjoy higher ROI. Investing in a novel technology but not developing the necessary management and training frameworks to actually use those tools is simply a waste of time, resources and opportunity. Even if big data and analytics become excessively intuitive to the point of anyone with a computer being able to use them, this is not going to erase the need for expertise when managing the technology, especially should firms hope to experience maximum ROI and operational benefits. Leveraging big data courses to ensure that staff members are prepared to handle these technologies is a sound investment for any company deploying new analytics tools.